Rental gear for scuba diving and snorkeling is provided at a nominal fee and are serviced regularly to provide you trouble free diving. Available rental gear includes masks, snorkels, fins, boots, BCD's, regulators, wetsuits, drysuits, tanks, weights, dive computers, and more. Click Here for rental rates. Equipment rentals are for personal recreational use only. 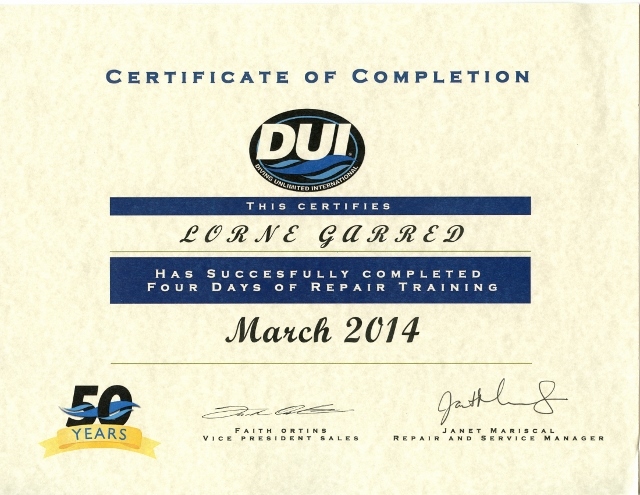 Proper certification must be shown in order to rent scuba equipment. A credit card pre-authorization will be taken at the time of rental. We provide quality breathing air for diving and it is tested on a regular basis. Nitrox is available, up to 40% and requires a nitrox c-card as proof of nitrox certification. We mix our Nitrox using the Continuous Blending Method. Decompression gases are also available up to 100%. Proof of Certification is required. Trimix is also available. You must be a tri-mix certified diver in order to purchase. AIR FILLS for non-SCUBA Cylinders: We can fill most non-SCUBA tanks that require compressed air. Some avalanche packs, once deployed, may need a rebuild kit which we can install but do not sell. This kit will need to be provided by the customer. We cannot fill CO2 cylinders. You spent a lot of money when you purchased your scuba diving gear. So keeping it in good working condition is not only important for your safety, but also to maintain the investment that you've already made for the gear. Tip: Upon returning from your vacation, bring your regulators & BCD in for it's regular servicing. Then when you put it into storage until your next holiday, you don't have to worry about the salt and sand causing damage to the delicate parts! This is a better scenario than leaving it to the last minute, rushing to the dive shop days before your departure, and finding out the service parts are on backorder, and your gear is not serviced before your vacation! Visual Inspection: A Visual Plus inspection on aluminum scuba cylinders will be completed using a Visual Eddy Machine. This machine will indicate the presence of any invisible cracks in your cylinder's neck threads that are not visible by the naked eye. Visual inspections are required every year. If you are unsure when you tank was last visually inspected, bring it in and one of our staff will assist you. Tank visual inspections can generally be done within 1-2 days. Hydrostatic Testing: Tank hydro tests are required by law every five years. If your tank is due, bring it in and we'll test it for you. A hydrostatic test will generally take 1-2 weeks. Valve Cleaning & Rebuilding: Should be done when you tank is due for a hydro inspection or if it becomes contaminated. Tank Cleaning & Tumbling: Only required if your tank requires it or if you request it. It is important that your BCD not only hold air properly, but that other mechanisms, such as over-pressure valves and the power inflator, are functioning properly as well. A sticky power inflator could have dire consequences in the open water! Your BCD should be serviced on a regular basis. Depending on the use, this could be as much as on an annual basis. Cleaning & testing over pressure valves. Your regulators should be inspected and serviced on a regular basis, annually is recommended. Dirt, sand, and salt can impede a regulator's performance. A free-flowing regulator at depth is the last thing you want to worry about while diving. Some manufacturer's will provide parts warranty for regulators that are serviced on an annual basis, check in-store for details. 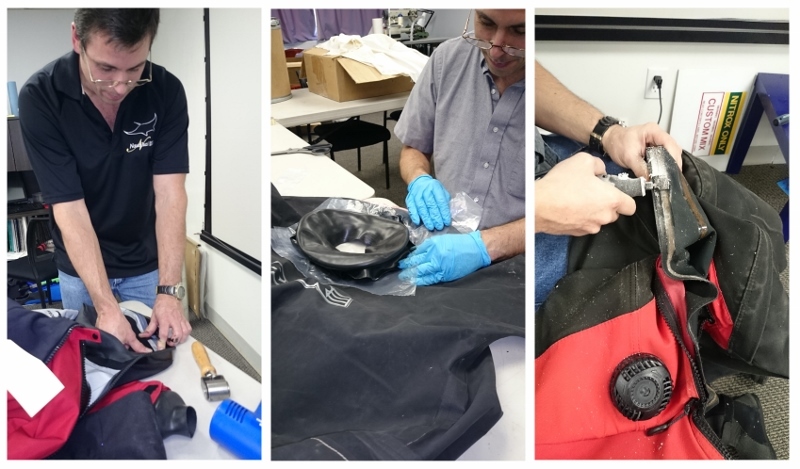 We now do drysuit repairs in-house! No more shipping off your drysuit back to the manufacturer and waiting weeks to get it back. We are able to repair many brands of drysuits, please call for confirmation.